The Origin Functional Rig Dual Adjustable Pulley Station brings even more versatility and functionality to the Origin functional rig offering. 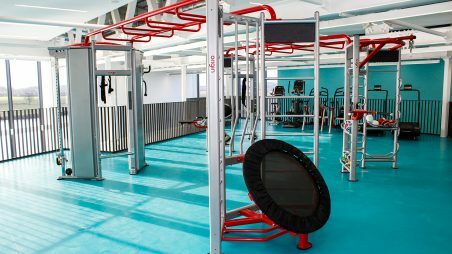 With a variety of cable attachments and low to high pulley positions, the station offers full customisation options to accommodate both individual and group fitness needs. With a variety of weight stack options the adjustable pulley further emphasises the functional aspect of not only strength training, but flexibility and endurance. Weight assisted cable exercises (of which the list is almost endless) can add variety to any workout whether you are going for the full body effect or focusing on a specific muscle group. Main muscles targeted: biceps, triceps, lats, chest & abdominals The Origin Functional Rig Dual Adjustable Pulley Station is the perfect choice for maximising space and training options.